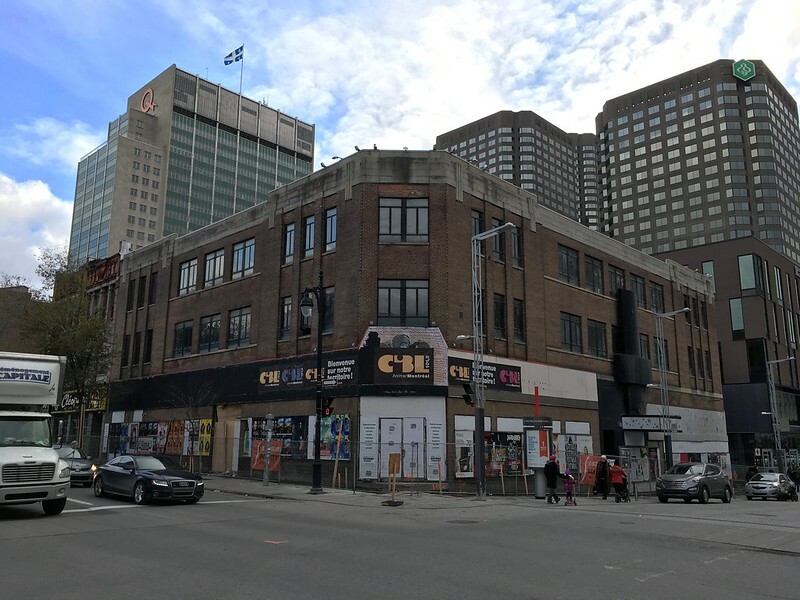 This old building on the corner of St-Laurent and Ste-Catherine is being emptied out. I believe the building is there to stay. There used to be a Burger King many years ago. How things have changed. I have no idea what's in store for the building. Ce vieux bâtiment, au coin de St-Laurent et Ste-Catherine, est en train d'être vidé. Je crois que le bâtiment est là pour rester. Il y avait un Burger King la il y a de nombreuses années. Comment les choses ont changées. Je n'ai aucune idée de ce qu'ils ont prévu pour le bâtiment. I remember the Burger King! I used to go out to the club on the 2nd floor (you can see the door on the right-hand side of the building) with my friends in the late 90's (we were about 18-19 then). I can't remember the name of the club just now, but when leaving the club late we would always go right around to the Burger King for a late night burger. Or across the street (kiddie corner) for a poutine at La belle Province. Happy New Year! - Bonne année!